The days of needing to go to the print shop for the prints you need are over. The best print and copier companies are producing amazing machines that are able to bring the power of the print shop to your own office. The real question is, what kind of printer is right for your office? The WorkCentre 7535/7556 a great option for those who need the best colors possible in the comfort of their own office. This machine offers the power of the best print shops without the hassle or expense. 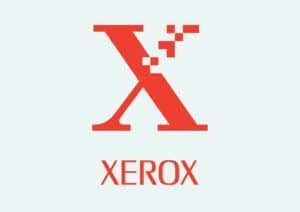 When you are using the WorkCentre 7535/7556 you can be sure that you are getting the best that Xerox as to offer. This machine comes with advanced print heads with digital image registration control technology. This ensures that you have the best technology possible to get the job done. But it’s not just the brushes that can save you from the print shop. This machine has the power to do it all, and can do it all quietly. The WorkCentre 7535/7556 comes with an H-Q LED print engine that helps your machine use less energy and make less noise. All of this comes with the promise of a safe and reliable machine. Security features like network authentication, smart cards, and role-based level login are in place to make sure that you are protected when you need to be. If you need the best colors possible then you need the WorkCentre 7535/7556.